To be honest, I really don't love dry shampoo. Most of the ones I've tried make my hair feel crunchy and dirtier than it did before the product went in. Not to mention most of them have such a strong scent, I end up smelling my hair for the rest of the day. But this is not the case with Herbal Essences Dry Shampoo. This is one product that's made a positive impact on my hair -- and my life! -- as of late. 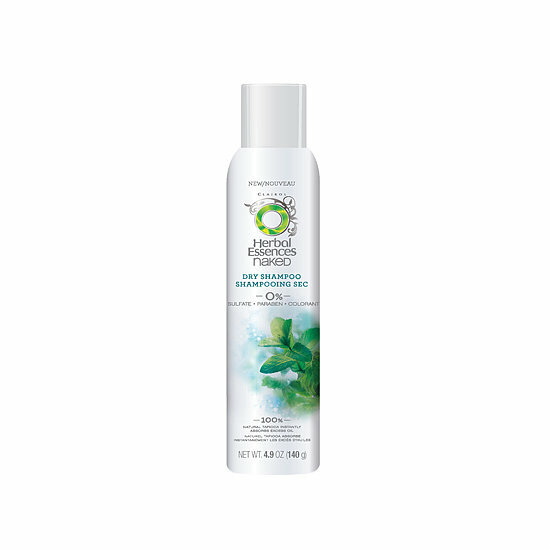 Herbal Essences Dry Shampoo is formulated with natural tapioca to absorb oi and rejuvenate dirty strands. The scent of white grapefruit and mint is fresh but not cloying, and it dissipates within moments so you're not stuck breathing it in for 10 hours with no end in sight. I first tried this dry shampoo after I hadn't washed my hair for 3 days. That's when my hair is still fairly squeaky clean, though -- I just wanted to ease my way in. Imagine my shock and delight when not only did it not change the texture of my tresses, but it made them look and feel a million times better! So then I got adventurous and tried it on blowout day 5. That's REAL ponytail day kind of hair in this beauty chick's world. Again, I was shocked and delighted. My hair looked and felt completely clean, and it didn't have a sticky or crunchy texture ... instead, it was silky and vibrant. In short, it looked like I had just washed and conditioned it that morning! This dry shampoo has quickly become a staple in my life for the simple fact that when I use it, my hair looks its best. And, really, what better reason is there? 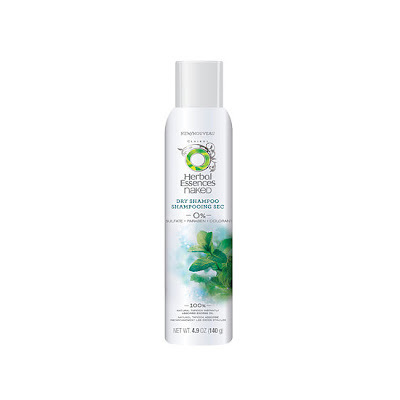 Herbal Essences Dry Shampoo retails for $7 at drugstore.com.